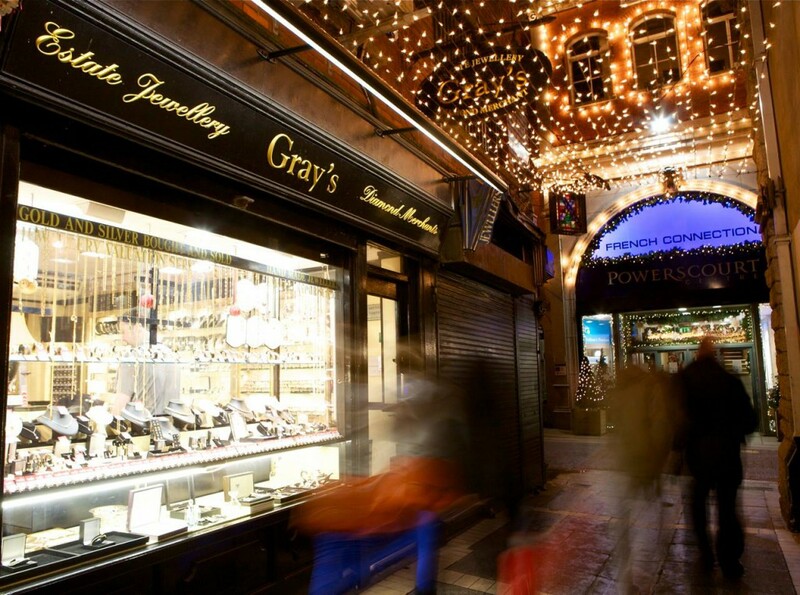 Gray’s Jewellers was established thirty years ago by husband and wife team George and Dorothy Gray, on Johnson’s Court, just off Grafton Street in Dublin City centre. Having studied business, economics and social studies in nearby Trinity College, their daughters Sarah and Caroline joined the business. Caroline has since studied gemmology with the Gemological Institute of America in London and jewellery design at the National College of Art & Design in Dublin. She has also just completed the two year Jewellery & Goldsmithing Skills & Design Training Course with the Design & Craft Council of Ireland in Kilkenny. Sarah has since completed a Masters and Diploma in Marketing. Stocking a wide range of both modern and antique diamond and gemstone jewellery, we also have our own workshop where much of our jewellery is handmade and bespoke pieces can be designed and created. Our selection of silver makes popular christening and wedding presents. We offer a complimentary insurance valuation and cleaning service with all jewellery purchased. Valuations can be updated free of charge on an annual basis. Jewellery can also be personalised with an engraving and gift-wrapping service.